When we talk about science and religion, much less the constructive engagement between the two, we are confronted with a deep cultural ambivalence about one or the other. Science for many people brings to mind negative images of toxic industries, Frankenstein foods, arrogant physicians, dehumanizing knowledge, nuclear holocaust, and Promethean tragedies. Similarly, religion also brings to mind negative images for many of religious wars, tortured inquisitions, fanatical intolerance, genocidal persecutions, and deadly cults. Juxtaposed to these negative images is generally a positive and sometimes utopic orientation towards that which is considered the opposite to the other, either religion or science. In light of these deep prejudices, many would say that this “constructive engagement” of the two is foolish and futile. Take this instead as a backwards compliment, evidence for why this dialogue is both courageous and visionary. We are clearly going against the tide of some of the deepest prejudices and most profound ambivalences in our culture today. If for no other reason, this is fertile and necessary ground for sustained and serious academic inquiry. 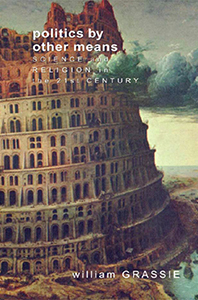 Science and religion is a hot spot in cultural evolution. There is really no such thing as science or religion. Instead we are confronted with a vast plurality of religions, sometimes seemingly incompatible in their truth claims and practices, and a multiplicity of scientific disciplines, which may have little in common with one another. In all of our philosophical attempts to rigorously define either science or religion, the abstract terms which we use daily with a common sense understanding begin to elude comprehension. The modern university has become a new Tower of Babel, in which we are all speaking mutually incomprehensible languages when we leave the comfort of our narrow academic expertise to engage in interdisciplinary dialogue, which is in some sense also necessarily an inter-faith encounter. There may not be definitive definitions, and certainly not final answers, but we need to put questions about the Universe and the Universal back at the heart of the University. 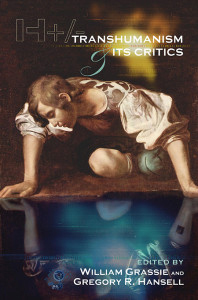 When we talk about metaphysics, please stay away from that section of the bookstore so labeled, which has become a catchall category for wild speculation and wishful thinking. Metaphysics is “1) The branch of philosophy that examines the nature of reality, including the relationship between mind and matter, substance and attribute, fact and value; 2) the theoretical or first principles of a particular discipline; 3) A priori speculation upon questions that are unanswerable to scientific observation, analysis, or experiment.” (The American Heritage Dictionary, 1996.) Contrary to many in the sciences today, there is no such thing as a metaphysically free way of understanding the world. To argue that there is no overarching metaphysical reality, as in the case of postmodernism, or to argue that this reality is mere materialism, reductionistically understood, is itself to assert a metaphysical system. The moment we try to understand how disparate data relate to one another in some kind of coherent or incoherent system, we are engaged in metaphysical speculation, large or small. Some interpretations may be more adequate than others, but there is no definitive proofs. While the metanarratives of metaphysics are currently out of fashion in academics, these are nevertheless the foundations upon which we construct our worldviews and our world-doings. One exciting aspect of the science and religion dialogue is to see how science seems to point beyond itself to something more, something transcendent, although it would be a big leap to necessarily equate this “more” with the God of Abraham, Isaac Jacob, Jesus, and Mohammed or the Buddha nature in all things. Nevertheless, metaphysics matters. We need a more humble hermeneutics in which we do not use our metaphysical assumptions as a truncheon to truncate open-end conversations. Of course, one need not start with the metaphysics of science. Most people begin with spiritual convictions and religious commitments for reasons that are unrelated to the domains of science. One might have personal mystical experiences, be challenged by moral and existential problems, or simply be raised in a tradition in which a certain worldview was taken for granted. Today, however, we cannot ignore the multiplicity of religious traditions, even if we commit ourselves to the particularism of a single tradition. And while there may be privileged traditions, the revelations themselves point repeatedly to our finite ability to understand the Source and challenge us to look relationally at the world around us as somehow significant to that Source. In the theistic traditions, for instance, we believe in a Creator, Sustainer, and Redeemer of the Universe. How then could the content of science, as a language about this universe, be ignored by theists? Contrary to static views of religions, there is a long evolving and intellectually exciting history of interpreting and integrating scientific insights into our traditions. The reverse is also the case, in which our theologies and philosophies of nature, actually inform the interpretation of science. While science strives to be apodictic, the object of religion is apophatic. We should not be seduced by science-envy to adopt methods unsuited to the Source and idolatrous in their expectation of certainty. Because all revelations can only be understood relationally, spiritual humility is always promoted as an important religious virtue. I imagine that most scientists actually begin their careers by falling in love with the world which they study. Why else would one devote one’s life to the disciplined and often tedious study of some set of phenomena in painstaking detail with generally little reward or recognition. In this sense, science can be thought of as similar to the learning of foreign languages, which requires a lot of hard work, but also the mystical moment of a profound gestalt shift. Great science seems to occur most often when, like the anthropologist or missionary in a foreign land, the scientist also “goes native”. A good physicist dreams in the mathematics of the cosmos; a good chemist thinks within the three-dimensional bonding space of complex molecules; a good biologist has a feel for the organism. Science can be thought of, not as a privileged epistemology, but as altruistic fidelity to the phenomena. To sustain a love over a lifetime, as most couples also discover, requires a kind of spiritual commitment and discipline. Science itself is a kind of spiritual discipleship. When scientists experience their love to grow barren and unrequited, then rage may come to govern their relationship with themselves, each other, and the object of their study. So there is in the dialogue between science and religion also a kind of pastoral concern for scientists, that they have healthy and fulfilling lives and relationships. Fortunately, many scientists today are beginning to speak openly about how they understand their professions to be a kind of spiritual quest. It is important to affirm both the realism and the romanticism in the difficult work that scientists do and for society to support them in this work. In the 19th and 20th centuries, the social sciences were founded with a largely hostile understanding of religious phenomena. Religion was generally seen as dysfunctional, regressive, and oppressive, something to be explained away and replaced with science. Today there is a growing appreciation of how religion can also be highly functional and healthful, both for communities and individuals. Freed of this Oedipal hostility and other apologetic agendas, the tools of the social sciences can shed new light on religious phenomena in both their functional and dysfunctional manifestations. As a curious example, psychology, once the overt enemy of religion, has become a helpmate in the widespread use of psychological screening tests in the selection and training of new clergy at most seminaries in the United States today. Similarly, sociology points to the centrality of religion in the recovery from addictions, in upward-mobility for disadvantaged youth, or in decreased recidivism in prisons. There is an enormous amount of complicated and exciting research to be done as we revisit the sciences of religion. 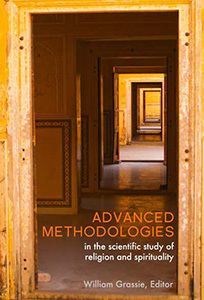 This research can hopefully help the religious also to be more authentically faithful. Sooner or later everyone gets sick. It is now well established that our beliefs are powerful medicine. About 30 percent of the effectiveness of any medical treatment, whether orthodox western medicine or some alternative healing tradition, is the result of the so-called Placebo Effect. This applies as much to mechanical-types of therapy like knee surgery as to more mental-types of problems like depression. Orthodox medicine would like to believe that placebos can be isolated in the heads of their patients. Double-blind experiments have blinded researchers to the semiotics of health. We need to talk about deep placebo effects that are distributed throughout the cultural context of healthcare. So pill-popping is an effective placebo is the United States, but it may not be in Brazil, which doesn’t have a culture of pill-popping. While acupuncture and antibiotics work somewhat independently of belief systems, even when animals are concerned, such therapies will work better if you believe in them. Furthermore, belief systems are often profoundly related to social support structures and other attitudinal factors, all of which profoundly affect one’s immune system and health outcomes. Of course, in the end, taxes and death are the only certainties; but here too the beliefs and attitudes with which one approaches the obligations of life and the mystery of death profoundly affect the quality of life lived. The semiotics of health necessarily implicated the sciences of medicine in the messiness of cultures. Surveys suggest that most people in the United Statestoday can’t tell an atom from a molecule from a cell, don’t have a rudimentary understanding of electromagnetism, don’t know the difference between a star and a galaxy, and surely don’t understand genetics or the basic outline of natural history on this planet. This is quite remarkable if we consider how much money and effort has been invested over the last forty years in public science education. Perhaps there is something wrong in the way we teach science. To paraphrase a quip by Henry Ford on history, science education has become “one damn fact after another.” Perhaps the introduction of philosophical, religious, historical, and moral questions into the science curriculum would reinvigorate science education. Without the big questions to inspire interest and the metanarratives in which to orient the myriad details, general science literacy will continue to suffer. This does not bode well for democracy in an age of accelerating science, nor for continued and expanded public funding of scientific research. Traditionally religious questions of meaning and purpose, virtues and values, can help enliven general science education. Religious institutions should actually be the primary ally of institutional science in our efforts to enhance science literacy and public funding of scientific research. In the subjectivization and commodification of religion in the 20th century, we have reached the absurd situation in which everyone claims to be an expert in religion. In a massive wish-fulfillment disorder, most have reduced their spiritual lives to mere opinion. Any proposition can be true, if one simply believes in it enough. Religions, of course, are anything but simple. The study of religion is infinitely fascinating, complex, and highly disciplined. While the U.S. Supreme Court has repeatedly ruled against the teaching of sectarian religion in public schools, it has always permitted the teaching of religious history, the philosophy of religion, sacred text as literature, and comparative religion. Unfortunately, this is perceived as controversial, so it is largely ignored in most schools. Of course, it is not likely that there are many teachers out there who would be adequately trained in how to teach religion. 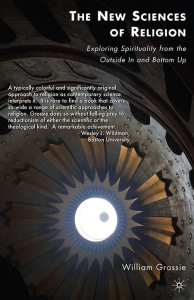 The science and religion dialogue, however, requires that we take a fresh look at religion to try to understand its confounding particularism and profound universalism. Science provides a wonderful bridge for interreligious dialogue and comparative religious studies, while helping to sharpen philosophical reflection and deepening our appreciation of these received wisdom traditions. What a wonderful antidote to Philistine Fideism. 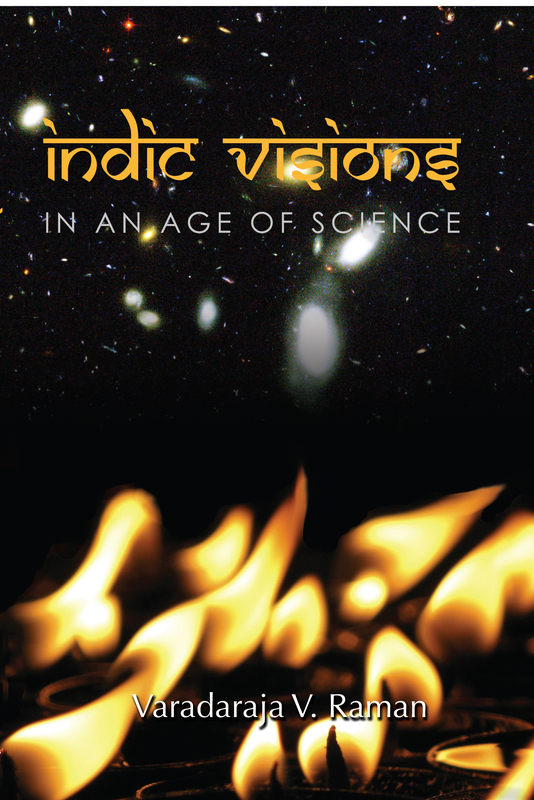 The dialogue between science and religion stands at the nexus of the great moral and aesthetic challenges of our age. 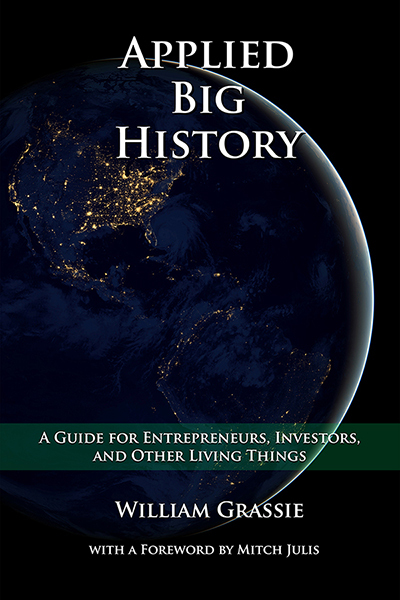 We live at an extraordinary moment in the natural history of this planet and the cultural evolution of our species. Over the last hundred years there has been a remarkable growth in human population and resource consumption. We have changed every bioregional ecosystem on the planet and the atmosphere as a whole. We are about to embark upon the large scale genetic engineering of other life forms and ourselves. Humans are a Lamarckian wild card in the Epic of Evolution. It is not only that science and its technology give us the power to change the world and ourselves; it is that our values and motivations will increasingly animate this growing power. Metaphysics becomes the motive force for our future evolution. What values, moral and aesthetic will govern this new stage of evolution in the 21st century and beyond? These are questions that cannot be solved by erecting a hermetic and hermeneutical barrier between science and religion; we need to be involved in a deep dialogue as we muddle our way into what we hope will be a healthier and safer future.